The early surveyors of the property purchased for the N.C. National Forest had strict guidelines for the marking of property corners. 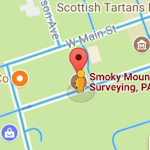 Aside from the actual corner itself, they were required to document the location of nearby witness trees in case the original property corner was obliterated. These photos show samples of where we investigated the markings left behind to prove that the trees we found were the the actual witness trees referenced in the old U.S. Forest Service survey notes. Looking at the outside of the tree, there may have been only a small scar where we felt the old blaze was originally made, not enough to prove it was the original witness. We were looking for tree scribing made in the early 1900’s. 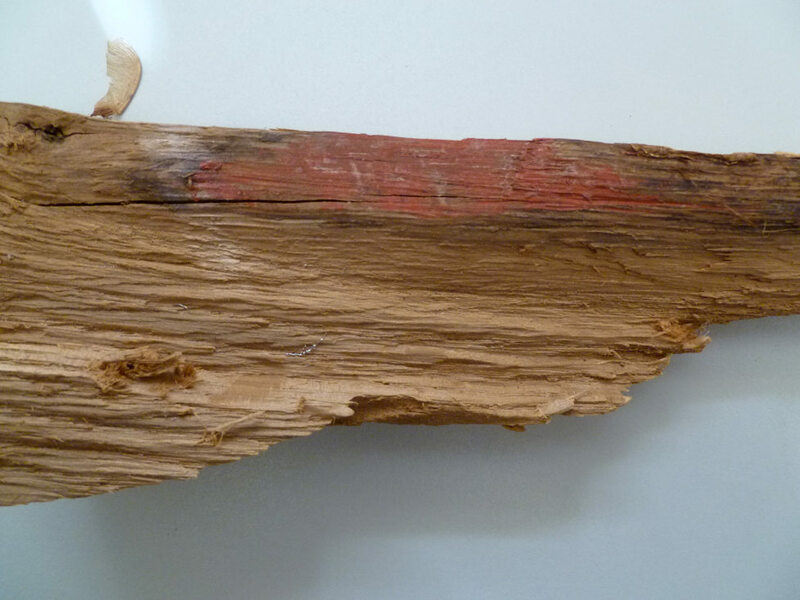 We cut out a portion of the tree trying to get back to the time the original work would have been done so that we could find the hidden evidence. Photos A1 & A2 show the actual scribing made into the witness tree. Photos A3 & A4 are reverse images of the original scribing where the tree healed over the original scribing. The large cut through the number “11” on Photo A1 is an inadvertent cut with our power saw. The 2 other parallel marks are axe marks from the original work when the scribing was done. The face of the tree was blazed to create a flat spot for scribing and these parallel marks are from that initial effort. You can still see traces of red paint in the scribing. Photos A5, A6 & A7 are related. We were working on a boundary that had been neglected for several decades and were trying to find some evidence of the original survey. We finally found this Chestnut Oak along our survey line that had a few old scars that looked man-made. We cut into the tree and found what we were hoping for. Photo A5 was what we first saw after carving out a sample. A little closer look in Photo A6 revealed the red paint we were looking for. A1 – The large cut through the numbers is from our power saw. A2 – This image shows the actual scribing made into the witness tree. A4 – Reverse image of the original scribing where the tree healed over the original scribing. A6 – Enlargement of Photo A5 with red paint still visible. A7 – Old markings in Photos A5 & A6 came from this tree.